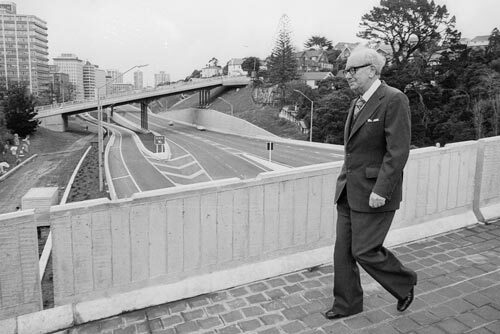 Denis McGrath crosses ‘his’ bridge on the day it opened in 1978. McGrath was a long-term Wellington city councillor and deputy mayor. The bridge is a pedestrian overbridge across the Wellington motorway.